Having seen two US brokers go public in the last 12 months and many more withdraw and being bought it’s time to see what happened to US retail forex industry sinc regulation became more stringent. 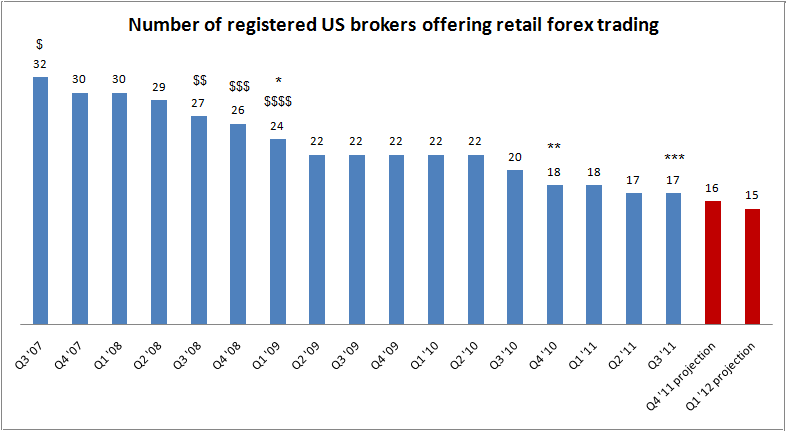 Bottom line is that since Q3 2007 (4 years ago) number of US registered brokers offering retail forex trading has dropped almost 50% from 32 registered brokers to 17 today. 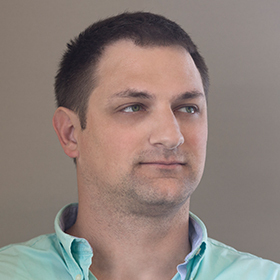 Taking into account the overall trend and adding personal knowledge on a situation of several US retail forex brokers we can also safely estimate that in the coming 6 months at least two more brokers will exit the US market. On the other hand brokers like optionsxpress may start offering retail forex trading – there’s no estimate on the date though. Added to the chart is the major regulatory decisions and requirements such as net capital increase over the years and the Dodd-Frank bill. It’s interesting to note that the number of forex brokers is not immediately affected by these regulations but that it takes them time to digest the requirements and either exit or sell the client base.